This week Intermountain Healthcare officially joined the American Well network as our newest health system partner. Intermountain’s system encompasses 22 hospitals, 185 clinics, and a medical group of 1,300 physicians. The new telehealth service, Connect Care, will launch in early 2016. 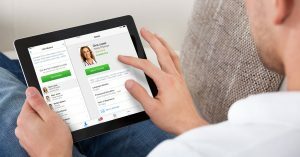 It will provide 24/7 on-demand care to all 750,000 members of Intermountain’s health plan as well as its approximately 34,000 employees, many of whom belong to the plan. No wonder Intermountain has received the Gallup Great Workplace Award four times, most recently this year! 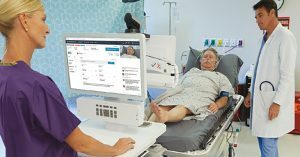 A leader in healthcare, Intermountain began exploring telehealth in 2013, when it piloted an internally built system. Partnering with American Well is the next logical step in extending its reach system wide. 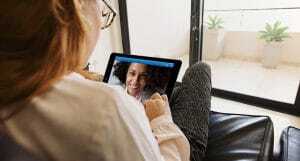 Following a model that has worked for many health systems, the new telehealth offering will initially focus on treating low-acuity conditions. In later phases, the service will extend to additional use cases such as chronic care and eventually incorporate specialist care. We look forward to growing our partnership with this leader in healthcare transformation! Read more about Connect Care in Intermountain’s press release.